On a recent Called to Coach, we spoke with Gallup Talent Development Architect, Dean Jones. Strengths Mastery is where a person’s strengths are fully integrated into who they are as a person. Gallup-Certified strengths coaches have a vested interest in understanding the pathway to strengths mastery. Understanding this path enables coaches to successfully coach their clients in a profoundly meaningful and transformative way. This type of coaching goes beyond knowledge-based coaching and skills-building coaching to transcendent coaching, where clients have insights and epiphanies that change the way they see the world. There are likely more than nine stages for strengths mastery and those stages are not necessarily linear. It is a qualitative assessment of students and learners of Gallup strengths. Part one of Strengths Mastery, here, discussed the first three: Understanding, Awareness and Appreciation. Part two in this webcast discusses the next few, non-linear stages: how to create impact by continually unpacking your themes. That is, if you plateau in your development, it is often helpful to go back to the beginning and say, "What do I understand about my strengths that I didn't understand before? Where am I resisting my fundamental self?" Dean envisions it as the children's game, Chutes and Ladders. You climb to the top, slide back down and then climb back up again. By "playing" this "game" with in understanding your strengths, you avoid seeing your themes as one dimensional because you're constantly probing how each theme is three-dimensional in the way it plays out in your life. To hear more about the pathway to strengths mastery, please watch the video or listen to the audio above. Dean Jones is the principal architect of Gallup’s global client learning strategy. Dean consults with clients on strategic solutions to address key business issues, including organizational development, performance management, learning and development, productivity and workforce effectiveness. 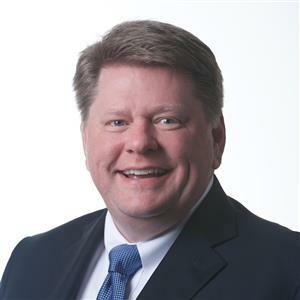 He oversees the direction of Gallup’s client learning offerings, the development of the organization’s learning consultants, and the growth of Gallup’s learning business worldwide, including its public course offerings and learning products. Dean's top 5 strengths are Activator, Focus, WOO, Strategic and Relator.